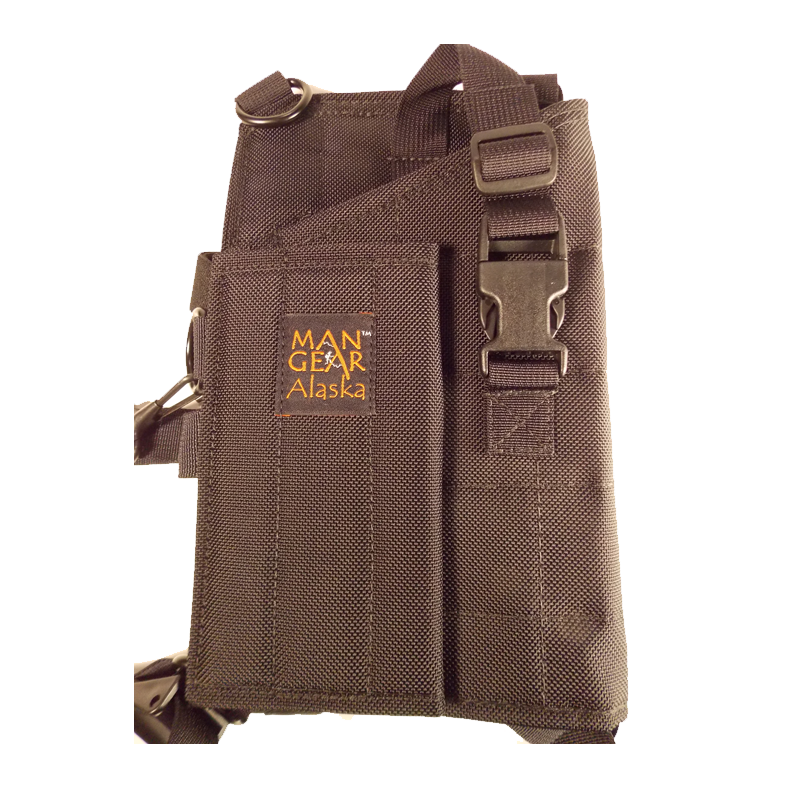 Man Gear Alaska, LLC is a small family run partnership. We do believe that it is still possible to maintain a manufacturing facility in the U.S, and strive to keep goods made in America; at this time still made in Alaska. We look forward to the idea of creating more jobs for those within our community. 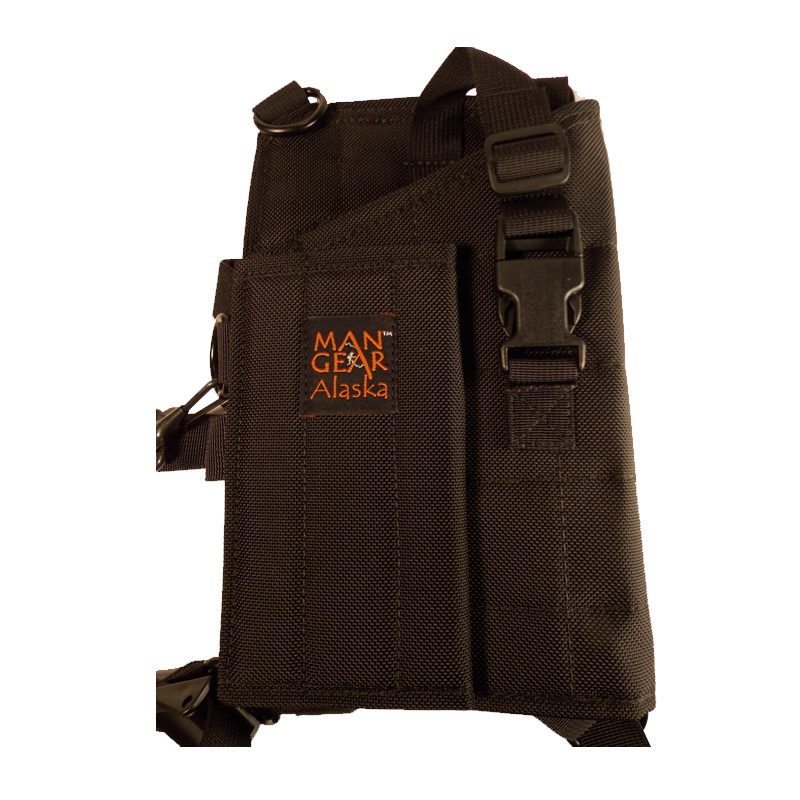 Our goal in manufacturing these holsters is to provide a rugged, high quality, handcrafted product, with real people whom the consumer can contact for questions, and in the extremely rare case of need; a warrantee. We are a few of the many Alaskans who believe in our right to enjoy the outdoors in a safe and responsible manner where carrying a side arm is not only a privilege, but at times a necessity. 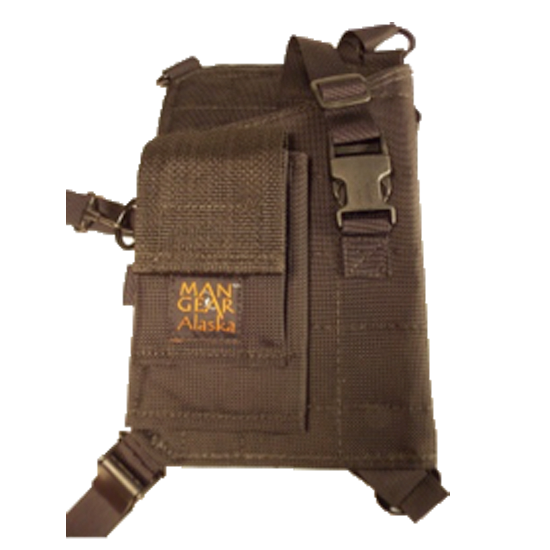 The design principle of our “The Ultimate” chest holster is one that has been in Alaska for well over 15 years, and we are proud to be able to continue to create a holster with craftsmanship and quality which we believe will serve its purpose in the field for years. 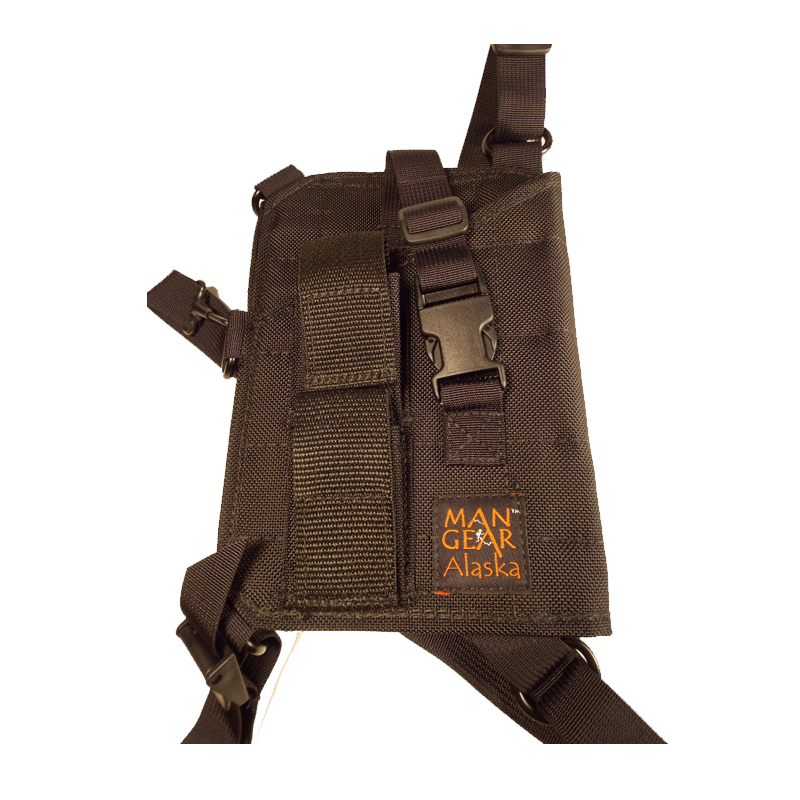 As we attend gun shows and sportsman’s events in Alaska, we hear many times over that people absolutely appreciate the style and design of these holsters. Many of our customers mention that they use and abuse these holsters and they find that they hold together through years and events that they never would have thought. We are now pleased to be expanding into areas to provide those outside of Alaska, through our website and other venues, the opportunity to own a functional and practical piece of equipment for hiking, hunting, biking, camping, fishing, horseback riding and as many other diverse applications as individuals find. Our hope is that we will exceed your expectations in: craftsmanship through our detailed handcrafted work of each holster, service through our friendly and knowledgeable customer care, and functionality in our choice of durable and high quality construction materials.